Thread by @RealTimeWWII: "British Foreign Secretary Halifax threatens to resign unless UK considers peace with Hitler. Churchill: "Nations that go down fighting rise […]"
British Foreign Secretary Halifax threatens to resign unless UK considers peace with Hitler. Churchill: "Nations that go down fighting rise again, but those who surrender tamely are finished." Lord Halifax: "We will get better terms from Hitler now, before France goes out of the war & our aeroplane factories are all bombed, than in 3 months time." Churchill has called a full cabinet meeting to tell them no peace with Hitler: "If this long island story of ours is to end at last, let it end only when each one of us lies choking in his own blood upon the ground." Churchill: "25 experienced politicians... burst out cheering. I was sure that every Minister was ready to be killed quite soon, & have all his family & possessions destroyed, rather than give in." 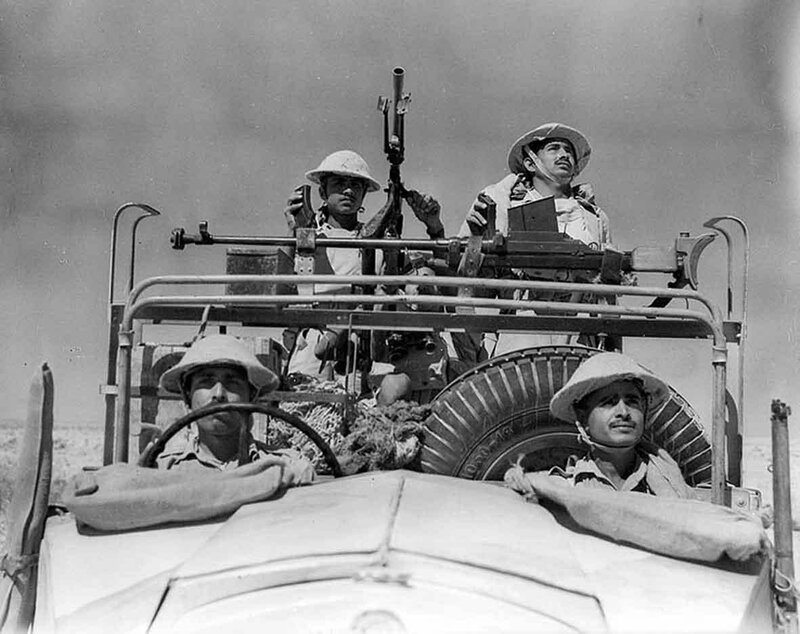 In Egypt, 30,000 British & Commonwealth troops are advancing deep into the desert- ready for a surprise attack on Italian invaders. Allied forces hiding in no-man's land of the Egyptian desert; windscreens removed from vehicles so no Italian reconnaissance will spot tell-tale sun-glare. 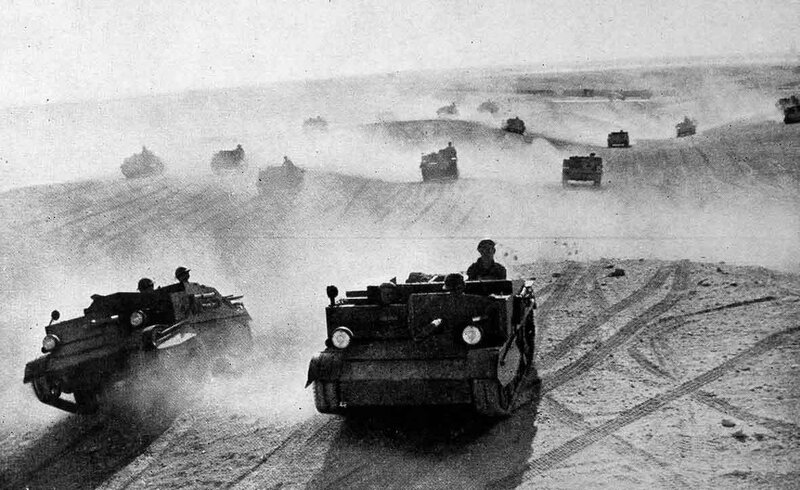 30,000 Allied troops in Egyptian desert finally told they are not on an exercise. Tomorrow they attack Italian forts: huge raid, codenamed Compass. Hitler has called an emergency council with top German commanders, to decide whether to continue with Operation Sea Lion, planned invasion of Britain. Hitler: "The efforts of the Luftwaffe are beyond praise- but we cannot bring England to her knees. We must be sure of successful invasion." Operation Sea Lion is scheduled for 17 September, before autumn storms begin. By then, the Royal Air Force must be destroyed- next 3 days are Hitler's last hope for invasion of Britain. Winston Churchill now in House of Commons, to brief Parliament on British collapse in France; it's only his 4th speech as Prime Minister. Churchill: "We must be very careful not to assign to this deliverance the attributes of a victory. Wars are not won by evacuations." "We shall go on to the end, we shall fight in France, we shall fight on the seas & oceans, we shall fight with growing confidence & growing strength in the air, we shall defend our Island, whatever the cost may be..."
On his resignation today as #UK foreign secretary, @BorisJohnson says he could not in good conscience champion @theresa_may #Brexit proposals. "We are headed for the status of a colony," says @BorisJohnson in his statement resigning as #UK foreign secretary. 1. Official history is merely a veil to hide the truth of what really happened. When the veil is lifted, again and again we see that not only is the official version not true, it is often 100% wrong. 3. in the 18th century a financial dynasty was founded in Frankfurt by Mayer Amschel Rothschild working in league with the Illuminati House of Hesse and others.